Here we share the wisdom of our community–a community made up of not only our neighbors in our dirt-and-dig world, but also our friends who share with us online. 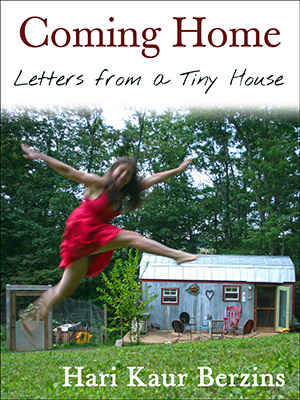 If you would like to write about and share your wisdom/inspiration in the areas of tiny house living, simple living, owner-building, gardening, permaculture, homesteading, salvaging, re-purposing, debt-free living, mortgage-free living, community, sense of place, creative lifestyles, living life on your own terms, living a balanced life, slow living, etc., we’d like to hear from you! Use the Contact form (above) to send us a brief synopsis of your idea. An interview with Korie and Alex who live in an 8’x18′ tiny house one wheels with their five-month-old son. 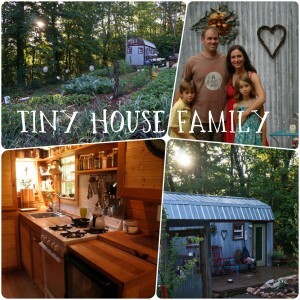 Once upon a time, #TinyHouseFamily was our very own Instagram tag, now look! So many families have joined us that you have to scroll back quite a while to get to our early days of sharing. I am happy that so many families are living tiny these days, and I thought it’d be fun to interview some of them. Here is the first interview in the series. Enjoy! The Nikon Video is here!